Our Spanish A level courses aim to help you acquire four essential skills: listening, speaking, reading and writing the Spanish language. The content of the courses is displayed in the tabs below. 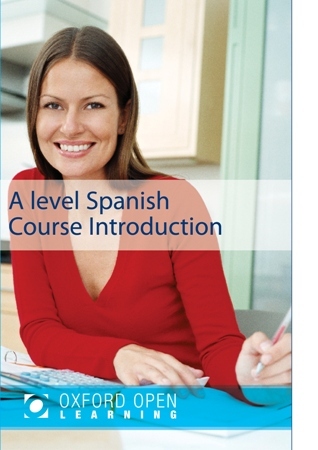 Students completing in 2018 and later years will be prepared for Edexcel Spanish A level syllabus 9SP0. If students wish to take an AS level exam, the first half of the course will prepare students for Edexcel 8SP0. However, marks obtained cannot be carried forward to the complete A level and students will have to be examined on this content again to get the whole A level. As with most A levels, it is necessary to have 4 GCSE grade C or above to study the A level. These GCSEs must include Spanish. If you don’t have these qualifications but have other experience that you feel has prepared you to start A level Spanish, please speak to one of our Student Advisers on 0800 9757575. It’s also recommended that you have access to a Spanish speaker for additional practice with the spoken aspect of the course. tutor at OOL I am now able to hopefully pursue a teacher training course in French/Spanish and this would not have been possible without being able to combine home study via OOL with childcare responsibilities. The course has allowed me to work at my own pace and avoid wasting time traveling to College. The student Adviser was helpful and professional at all times and I was given information well in advance of booking an examination centre.